This recipe goes out to Dayna who wrote me after my gingerbread/royal icing email requesting Vegan Sugar Cookies. 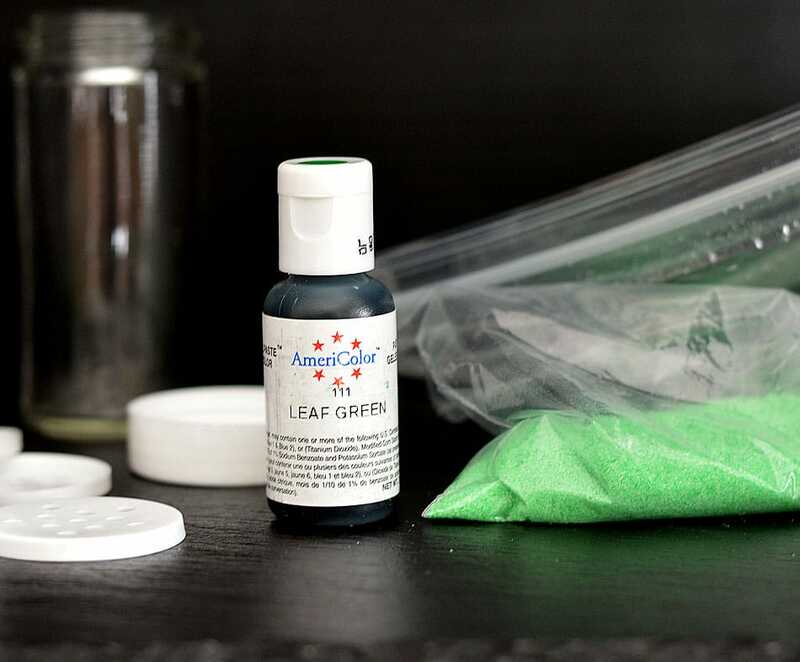 I also threw in a tutorial on how to create your own colored sanding sugar. I always make my own because I can never find what I am looking for when I am looking for it. 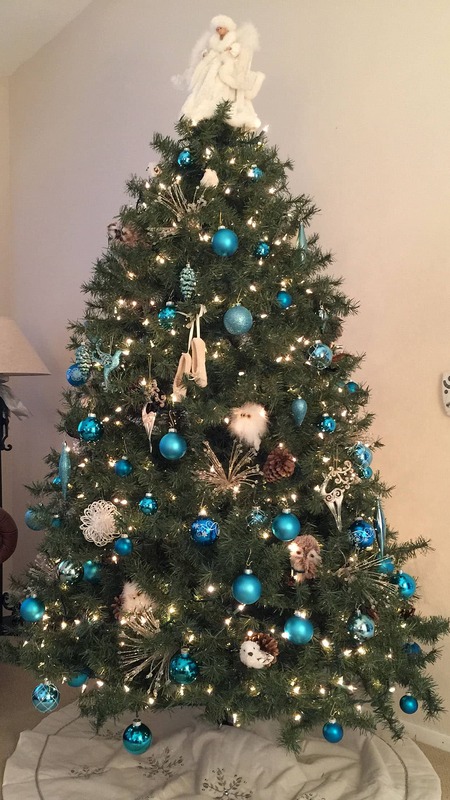 In my home, we decorate with turquoise and white, so I created a turquoise sugar (photo below). I have so much fun interacting with you guys and I really want to do it more! So, I am in the process of creating a secret Facebook group where you can submit recipe ideas, talk to one another…and to me, directly. Once a month, you’ll also get a recipe that is only featured in the group. If you have other ideas for that page, I’d love to hear them! 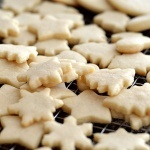 Leave me a comment below or you can email me directly at [email protected] Now onto these yummy Vegan Sugar Cookies! 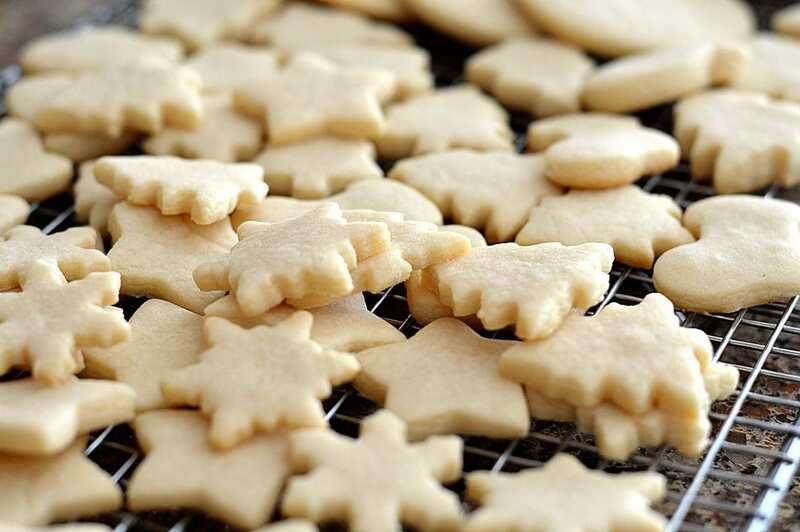 Vegan Sugar Cookies are so simple and yet, incredibly delicious as they are. We always leave some undecorated and the rest, we’ll be decorating with this vegan royal icing later this evening 🙂 If you are interested in the vegan food colors I mentioned in that post, you can find them on Amazon here. I collect cookie cutters whenever and wherever I see them, but there are a plethera on Amazon to choose from. I have at least four different shaped Christmas trees in this mini size. That rolling pin is actually made out of maple. I got asked about it awhile back. I received it as a gift from my mom and love that it has no handles. The dough is super easy to work with, no chilling required. In the printable recipe, I’ll give you a few options for egg replacers, as several work really well. I chose Vegan Sour Cream. These are the colors of homemade sanding sugar I chose to make this year. For red, I recommend the Americolor brand and the color called SUPER RED. I tested a few of their other reds, including Red Red and it did not compare to the true red of Super Red. I mean, not even close! So just get that one if purchasing separately, but it does come in the set I mentioned above 🙂 Next up was my moms choice, Violet. The turquoise was actually Sky Blue, it just came out turquoise. The Green was Leaf Green. Soft Pink and Lemon Yellow round out this years choices. These colors are vegan (you can see the email response from the company in this post) and only require one drop! I did use two for the red and might use two next time for the green. 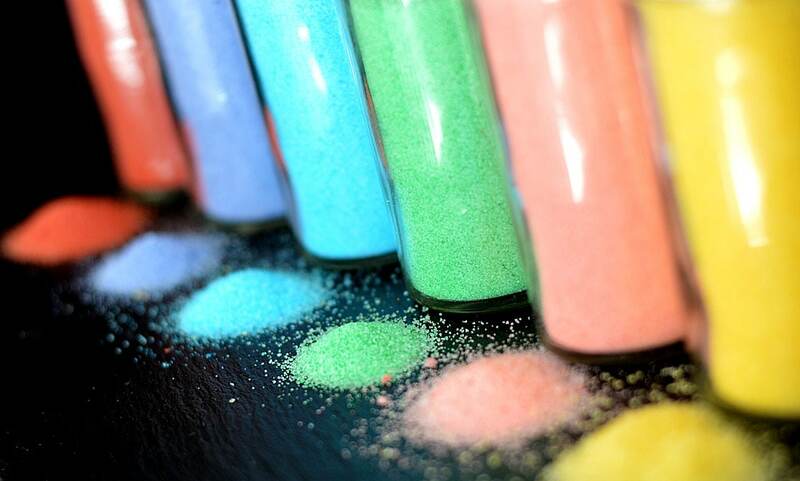 Take care using too much of the color however, because it will make your sugar too wet and may cause clumps or uneven color if over saturated. Less is more. NOTE: Many vegans prefer not to consume white sugar because of the manufacturing processes certain companies use, though no animal products remain in the final sugar product itself. This is a personal choice I’ll leave up to you. There are a few companies manufacturing without that process and of course, you can use any organic crystal type sugar. The natural brown hue won’t affect the outcome too much, perhaps maybe just a shade darker. I simply add the sugar to a plastic zip-lock baggie and one drop of the color. Seal the bag completely, or you will have a big, BIG mess on your hands. I remove the air because it makes massaging the color in easier. Just keep moving it around until it’s all blended. Then, spread it out onto a plate in an even layer and stir every few minutes. This helps dry it out before you put it into jars. Oh, and I found these also on Amazon (I seriously get everything on there). These are actually spice jars but have shaker tops. I mean, could they be any more perfect for this application? I got the 3 oz. size here, come as a set of 6 and I just funnel the dried sugar into them. These cookies are a little crisp on the outside, so tender on the inside and are perfect for decorating. Though I must confess, I consumed more than a few prior to decorating. I just love cookies hot out of the oven. Yum! 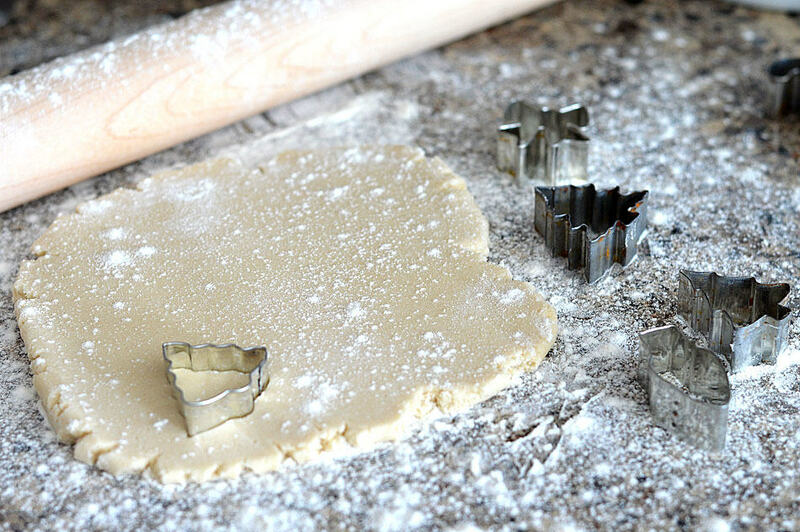 If you want to make some of them ornaments, just be sure to make that hole before you bake them. So let me know what you think! Did you make these Vegan Sugar Cookies? You can tag me on Instagram @theveglife1 with photos of your decorated masterpieces. Cream the vegan margarine and sugar together. Add the remaining ingredients and beat until well-blended. 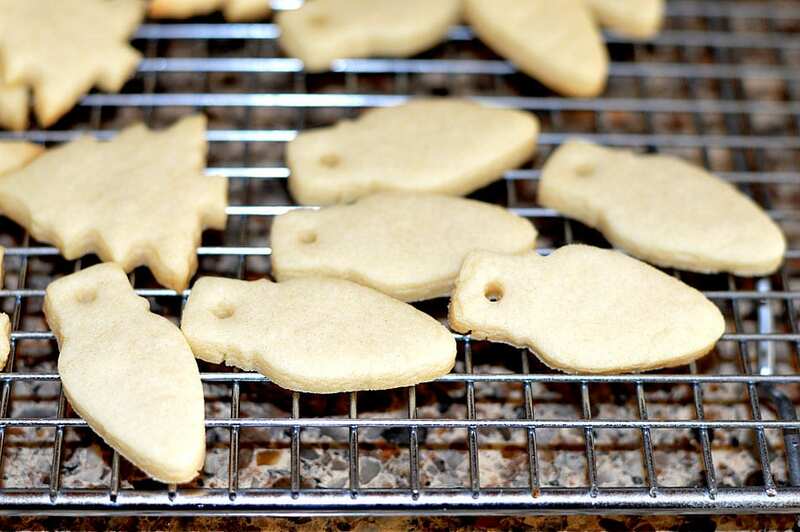 On a lightly floured surface, roll to 1/4" thick and cut out shapes, placing on a prepared baking sheet. I like to use a silicone baking sheet. Bake for 5-8 minutes. Don't let the bottoms get brown and allow to cool on the cookie sheet before removing. Allow to cool completely prior to decorating. Store covered at room temperature. How many cookies does this make? If I wanted to use ener-g egg replacer or a flax egg, does this just take one “egg”? I’m assuming the option for one “egg” is ONE of the options listed (canned coconut milk, cashew cream, or sour cream), not all? be making this our family recipe for now on, thank you! I made these and the dough was super hard to work with, very dry and crumbly. Wondering about the moisture level and if the measurements are correct. Or is the dough supposed to be on the dry side?